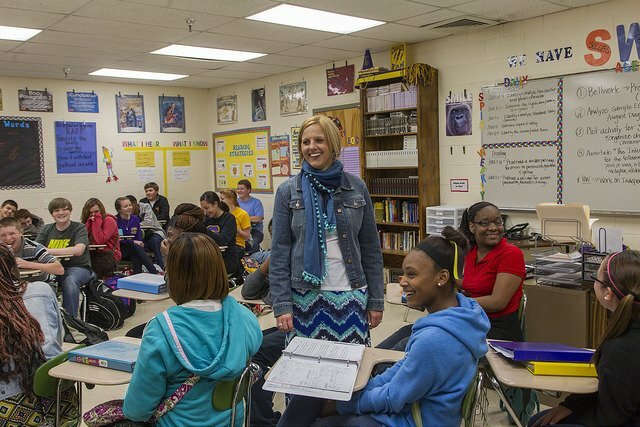 Tennessee can advance student achievement with a fresh focus on better preparation of new teachers, the State Collaborative on Reforming Education (SCORE) says in a report released Tuesday. The report, Prepared for Day One: Improving the Effectiveness of Early-Career Teaching, examines the state of educator preparation in Tennessee and recommends eight areas for improvement, including stronger classroom-based experiences for teacher candidates, greater diversity within the teaching ranks, and closer partnerships between educator preparation programs (EPPs) and the school districts that hire their graduates. The report establishes a goal of significant and sustained changes in educator preparation. Only a handful of Tennessee’s 40 educator preparation programs have consistently prepared teachers who in the first three years in the profession are rated as highly effective based on the Tennessee Value-Added Assessment System (TVAAS), the report says. Observation scores from early-career teacher evaluations show only three EPPs have produced better-than-average teacher candidates. National research has shown that students who receive effective teaching for a year demonstrate more than a year’s worth of learning growth. Prepared for Day One calls for scaling up current successful hands-on training for prospective teachers by requiring mentor teachers to have at least three years of successful experience, fostering cooperation between EPPs and districts to develop high-quality classroom experiences for teacher candidates, and publishing a report that examines the impact and practices of current teacher residency models in the state. To address diversity needs, the state should set specific recruitment goals for racially and ethnically diverse teaching candidates, the report says. It also calls for a teachers of color statewide council, tailored content for teachers of color during induction programs, and district-based “grow your own” models for identifying diverse teaching candidates as high school students. Recent promising innovations are identified in the report, including the Lipscomb University Pionero Scholarship and University of Tennessee-Martin Call Me MiSTER program for increasing diversity, culturally relevant curriculum at the Belmont University School of Education, and partnerships between the Public Education Foundation in Chattanooga and Tennessee Tech to train teacher candidates in math and science to work in high-need urban schools. • Improve the state licensure assessment system. The report recommends the edTPA assessment, a portfolio assessment of teacher candidates before they enter the classroom, and the Tennessee State Board of Education last week approved a policy requiring edTPA assessment beginning in 2019. • Increase Tennessee Department of Education staff capacity within the educator preparation division. • Develop a clear process for reviewing and approving EPPs. • Increase access to and transparency of data on EPPs. • Improve the quality of the student admissions process for EPPs. “Educator preparation programs, the Tennessee Department of Education, and the State Board of Education each have a significant responsibility to ensure that Tennessee’s next generation of teachers enters the classroom well prepared to improve student learning and contribute toward narrowing achievement gaps for historically underserved students,” the report says. The 48-page report was prepared by SCORE with input from more than 150 education partners in Tennessee and across the nation. Interviews with leaders of half of Tennessee’s EPPs and focus groups with school district leaders and educators provided insight about strengths and gaps in preparing teachers.